As of 19/10/2018 this is my latest Original “Evening retreat, Chapel Porth”, an Acrylic on Canvas painting. Chapel Porth is one of my all time favourite locations, whenever I visit, whatever time of year I just love it’s calm brooding atmosphere, there is not much in the way of man-made influence, apart from Wheal Coates perched high above, which seems to be a rarity in these times. But I do like the hint of our industrial past, without it none of the footpaths that we all use would not be present so that is a wonderful legacy. 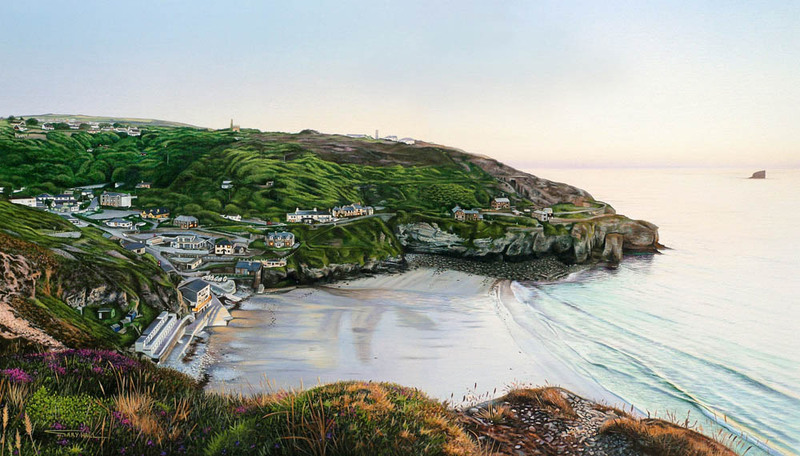 I have painted Chapel Porth many times & as ever this one proved its own unique challenge, there was a subtlety that was challenging & the Granite details were complex to achieve & very time consuming. I had to paint lots of stippling & gradually build up the tones without going too dark or leaving areas too light, a fine balancing act. This original as with all my large originals will be framed using Tru-View Ultra-View glass, an Ash frame, a deep bevel mount and conversation mountboard. The image size of the original is 355mm x 767mm, framed it measures approx. 575mm x 985mm. Prints will be available at 3 different sizes & will appear in Gallery 2 when available. 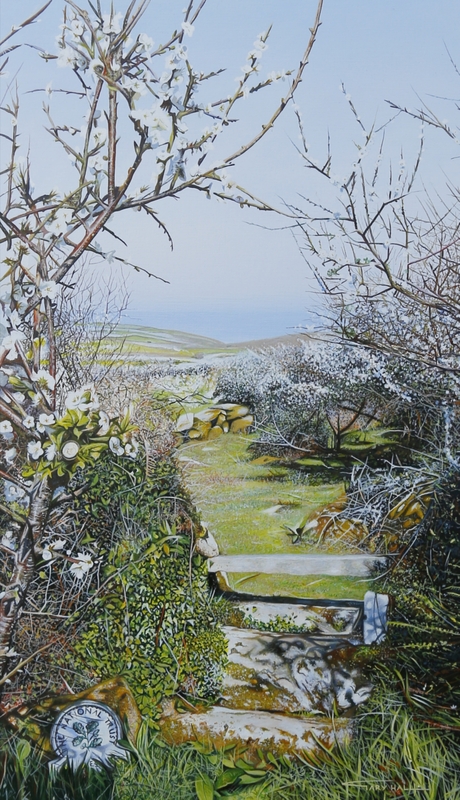 This original is only available to collect from the gallery due to size, weight & glass. Any questions or queries please do feel free to ask. 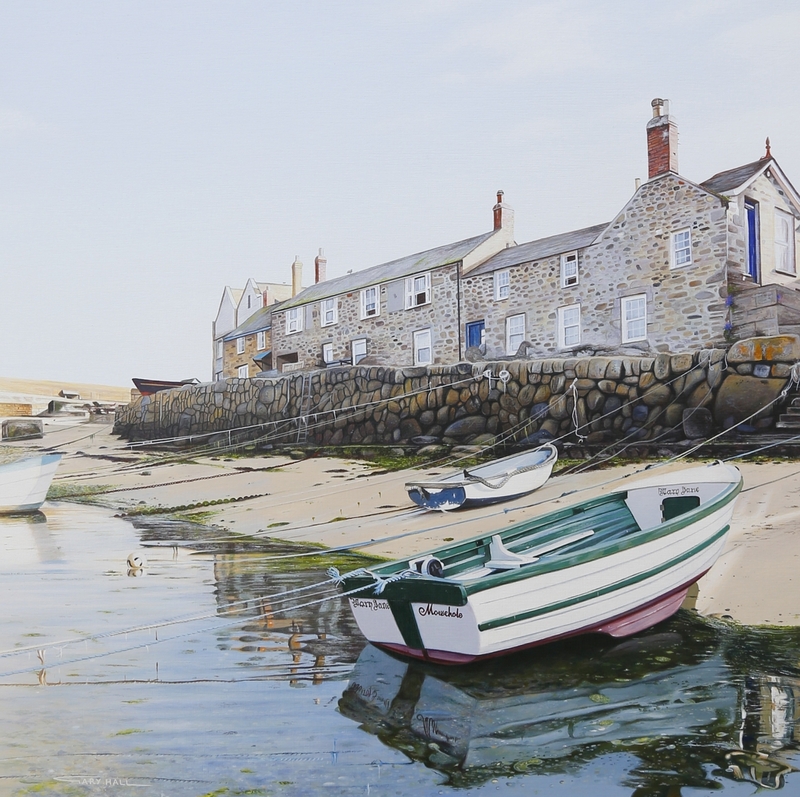 Be the first to review “Evening retreat, Chapel Porth” Click here to cancel reply.